As we get closer to the holidays you will notice lots of events on facebook and blogs. We are no exception. Mom To Grandma has lots of giveaways and blog hops lined up for you. While you are here please check out our Holiday Gift Guide above on the tab. Enjoy the hop, hopefully you win something! This hop is hosted by The Review Wire and The Frugal Find. All participating blogs are offering a prize of at least $15. Now is your chance to seek out some awesome prizes for those on your Christmas list, but you better hurry the hop ends on November 24th! Both The Review Wire and The Frugal Find are offering a prize you don't want to miss! Our awesome sponsor, Pomchies, is giving the lucky winner $15. in accessories. 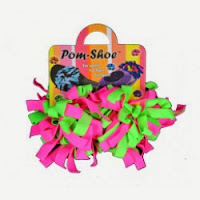 They carry Wine Charms, Head Bands etc.Cool! Must be 18, US only, sorry friends! Winner must return the winning e-mail within 48 hours to avoid having forfeit. Please wait a moment for the RC to open. Good Luck! I found this giveaway thru the hop on My Fab Fit Forties. I was entering a giveaway on my fab for forties. By finding the hop and following it. I always check lots of blogs for their giveaways. Would make for a great stocking stuffer for sure! Love it. Found it following the blog hop! I found it through still blonde after all these years, on the hop list. I found this giveaway on the Hop, Anything Goes! During the Anything Goes hop. 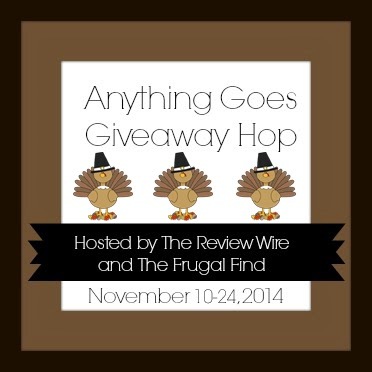 I found this giveaway on the Anything Goes Hop from Confessions of a Frugal Mind. I found through giveaway hop through sue parks. I found it on a hop on practicalfrugality. In the literary Winners blog page under giveaways for the anything goes hop. I found this giveaway through the giveaway hop linky.